Bothell, WA – November 10, 2016 – Winshuttle today announced two important leadership changes to scale the company to the next level in the marketplace and provide a world-class customer experience. John Pierson, who joined the company 18 months ago initially as Vice President of North America Sales, and then Chief Revenue Officer, has been appointed Winshuttle’s Chief Executive Officer. John has made considerable strides in positioning Winshuttle for future growth by building and aligning teams to help the world’s biggest companies make the shift from manual data operations to leveraging data as a strategic asset. John’s career spans over 30 years in the B2B software industry, helping scale both start-ups and publicly-traded companies, as well as everything in between. 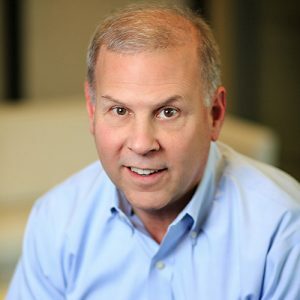 He has held leadership roles in several notable industry leading companies like SAP, Hyperion and most recently at Nuance Communications where he was VP and General Manager of Proactive Engagement Solutions. Brian Berg has also joined Winshuttle’s leadership team as Vice President of Customer Success where he will lead teams under the global umbrella of Professional Services, Support, and Training. Brian will report to the CEO, and ensure customer satisfaction will continue to be at the forefront of everything Winshuttle does. Brian has over 20 years of experience in software customer service, with senior leadership roles at Oracle, 4th Source, and most recently as Vice President of Customer Success at Vertafore. Learn more about John and Brian, as well as the rest of the Winshuttle leadership team by visiting https://www.winshuttle.com/leadership.